Home » Gadgets & Tech » Too few USB ports have you slumped? Keedox 7 USB 3.0 Ports with external power! 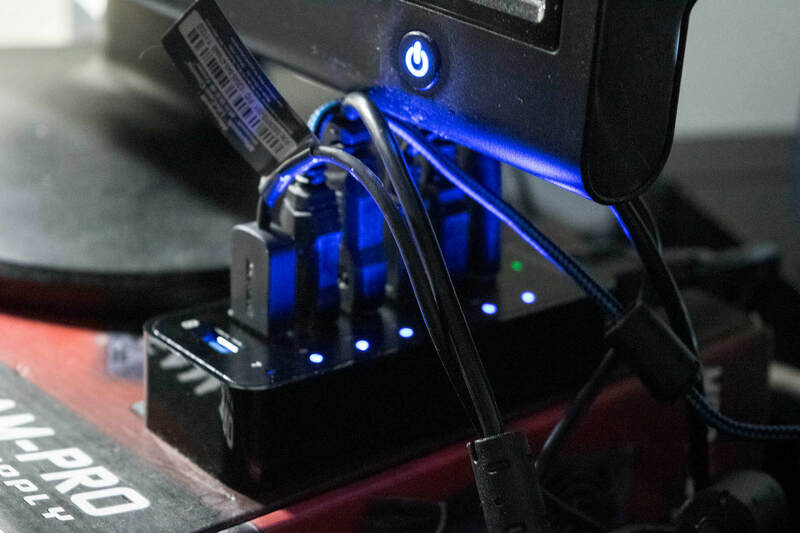 Too few USB ports have you slumped? Keedox 7 USB 3.0 Ports with external power! Keedox sent me a 7 USB 3.0 port hub to use with my laptop. Why? Because most laptops have too few USB ports and you can’t connect everything to it. Sure, there’s always the docking station you could go with, however, I was looking for the less expensive option which comes at $39.99 CAD on Amazon Canada. With all the devices that I have hooked up to my laptop on a regular basis, I needed a solution that would accommodate the usage I make. I’ve got my Blue Yeti, Mouse, Keyboard, HD Cam, External storage bay, Laptop Cooling pad and I also needed to have room for the usual USB-Key that I may have a need for or to simply connect my smartphone to the laptop for some ADB stuff. Previously was looking at a solution that would be reasonable in terms of price, but that also had its own power source because I tend to connect a lot of things and needed the output from an external power source. I’m sure that I could of went without it, but I didn’t take that chance. This 7 Ports USB Hub includes 7 standard USB 3.0 ports, all featuring BC 1.2 smart charging USB ports, covers your everyday usage. 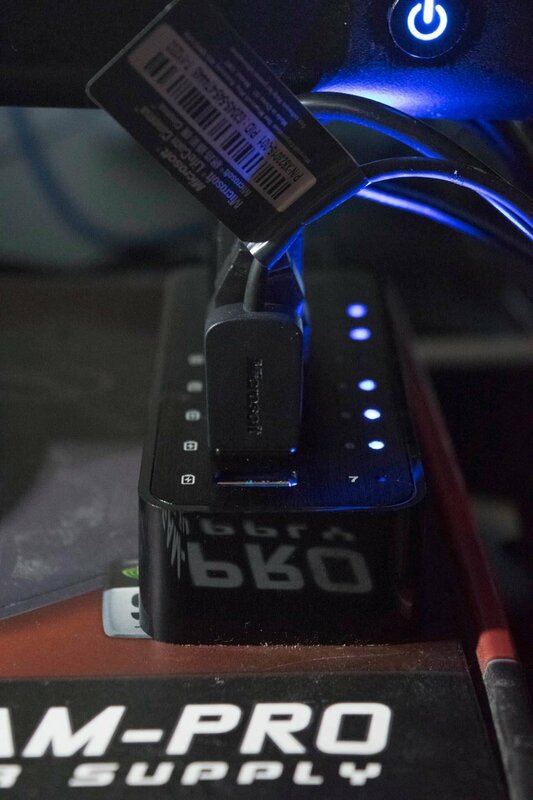 On a different note, the smart tech built into this USB hub can detect the type of device connected to it and supply it with the required power and data transfer rate. Enjoyed the review? How about sharing, caring or even giving this a +1 or a like? Comment or interact with me! As always you can find me @ www.androidcoliseum.com, Twitter, Google+, Facebook and who knows where else! Previous Need a cheap alternative to those expensive Bluetooth headset? Next Jackery fit packs a large amount of juice for you’re on the go moment!